Drawing is held at Sunfest in Ocean City, MD – September 2019. PLEASE READ THESE OFFICIAL RULES CAREFULLY. BY ENTERING THE RAFFLE, YOU UNCONDITIONALLY AGREE TO AND ACCEPT THESE RULES. OPEN TO LEGAL RESIDENTS OF THE UNITED STATES AGES 18 AND OLDER. THE RAFFLE IS VOID WHERE PROHIBITED BY LAW. 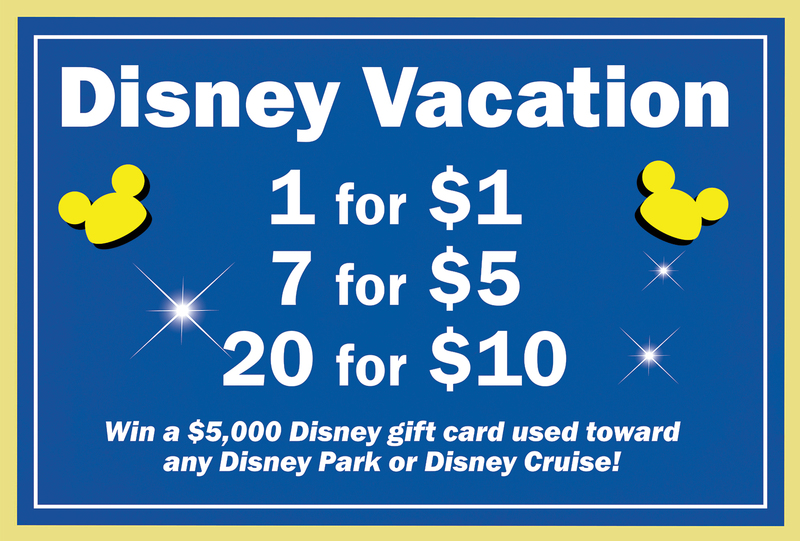 Click here to view the Disney Raffle official rules and winner affidavit.